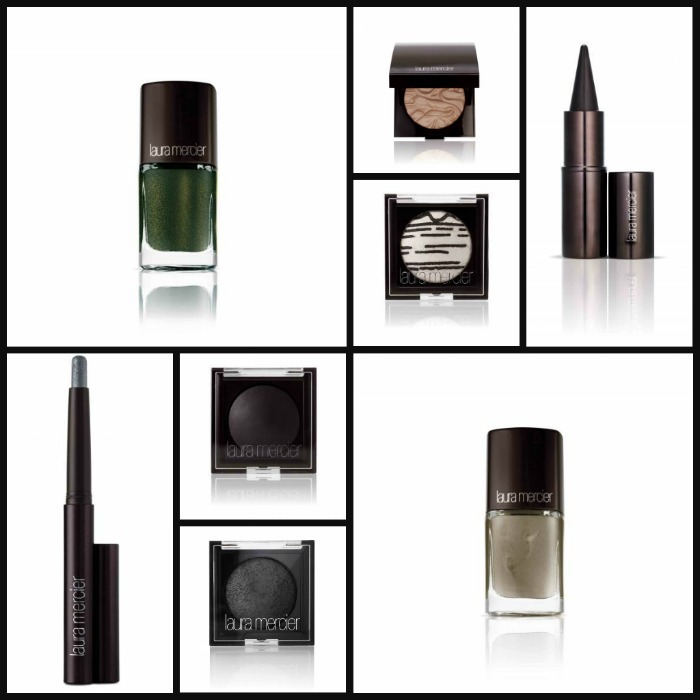 Laura Mercier Fall 2013 takes its inspiration from the dark, magical ways of women. The look is one of mystery and fantasy in a palette of seductive shades. The makeup is all about the eyes in smoldering shades of darkness. Deep blacks and textured grays outline the eyes for a look of intrigue. Darkness is balanced with light as skin glows with illumination and lips pout in soft shades of pink and berry. It is a mystical look that demands attention. Kindly check box diagram above for suggested retail price of each product.